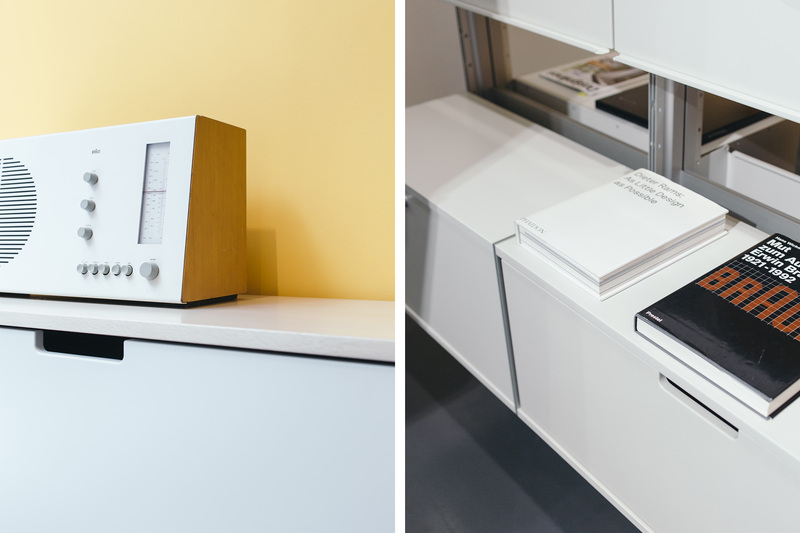 In case you’ve missed it, we’re some kind of in love with Dieter Rams. If you have any questions on why, a quick google search will keep you busy for hours, skewing towards days. Rams is, arguably, the most influential designer of the 20th century. Following his 40 year stint as the sobriquet for Braun, he’s been decorated with accolades by many designers after him. Namely, Sir Jony Ive of Apple, who was quoted saying, “At a glance, you knew exactly what it was and exactly how to use it”, in reference to the purity and effortlessness of Rams’ work. An introduction for such a man can take longer than many are willing to sit through, so I’ve kept this one to his own beliefs. This vignette, however, is not about Braun — and really, only barely about Rams. In the spirit of The One Thing, this piece is about Vitsœ, Mr. Rams’ baby of 57 years. Funnily enough, Vitsœ was not a name concocted by the designer, but rather by one of the founders of the company. In 1959, Niels Vitsœ and Otto Zapf founded Vitsœ+Zapf with the vision of manufacturing and selling furniture designed by the then 27-year-old Dieter Rams (thanks to Erwin and Artur Braun’s approval of developing outside work). By 1969, Zapf had left the company, which was aptly renamed Vitsœ. In the decades that followed, the line expanded its global footprint. As mass production became king through the 1960s, craftsmanship and thoughtfulness were in large part left to suffer. Amidst the devolution, Vitsœ built its brand standing in the tide, placing their bet on furniture that would remain “long living”. 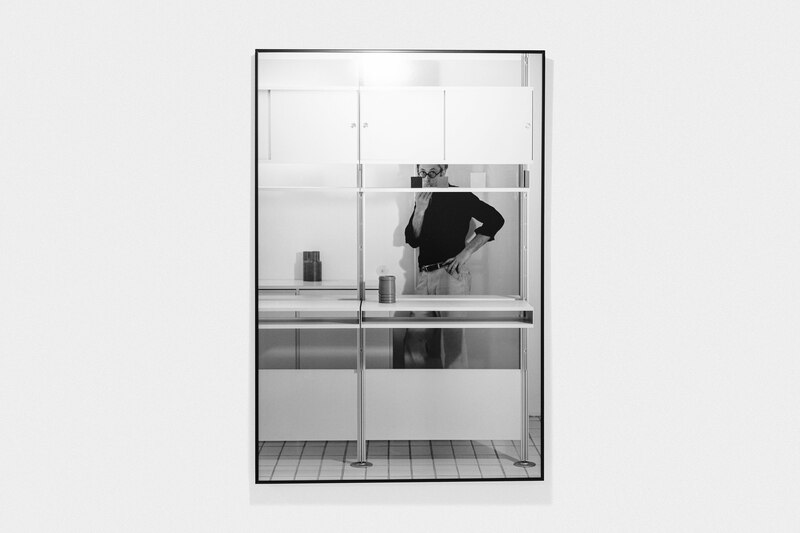 Today, Vitsœ’s products remain unchanged. If you’re like me, you grew up in a mid-’80s home, complete with living room, family room, dining room, den, the list goes on. In the past decade, however, we’ve seen the design language of “home” improve. Formalities have fallen by the wayside, making room for open floor plans and renewing our sense of hospitality. Fewer walls create more conversations and encourage us to rediscover pieces that complement our lifestyle. That complement is Vitsœ. The visual style of the Vitsœ line has now lasted more than 50 years. Following Rams’ Ten Commandments for Good Design, the collection remains clean and flawless. Vitsœ will complement any room with a stark center and will warm its walls and floors without loudly speaking out against any challenger that stands its opposite. Whether you’re nestled into your home for the long run or progressively moving toward your dream home, the modularity of the Vitsœ collection is built to grow with you. 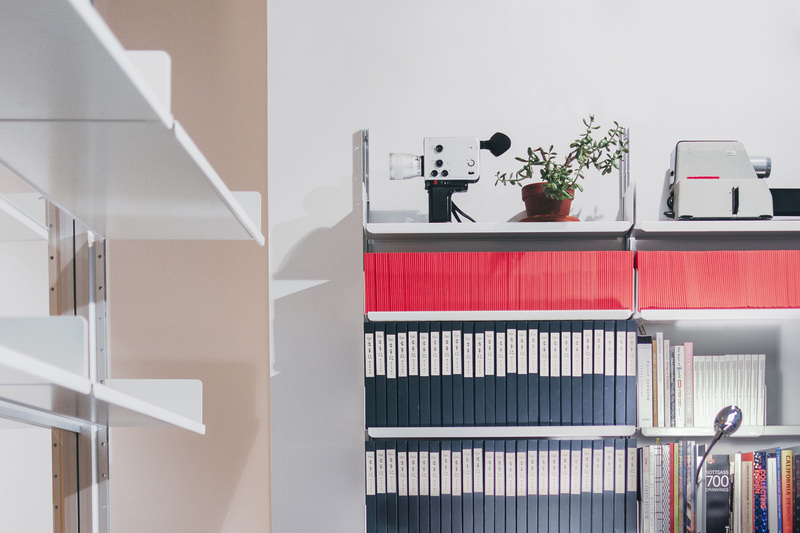 The shelves can effortlessly multiply, both up and out. The nested table set can be paired with its siblings to make a long coffee table or can be set in to provide space as needed. 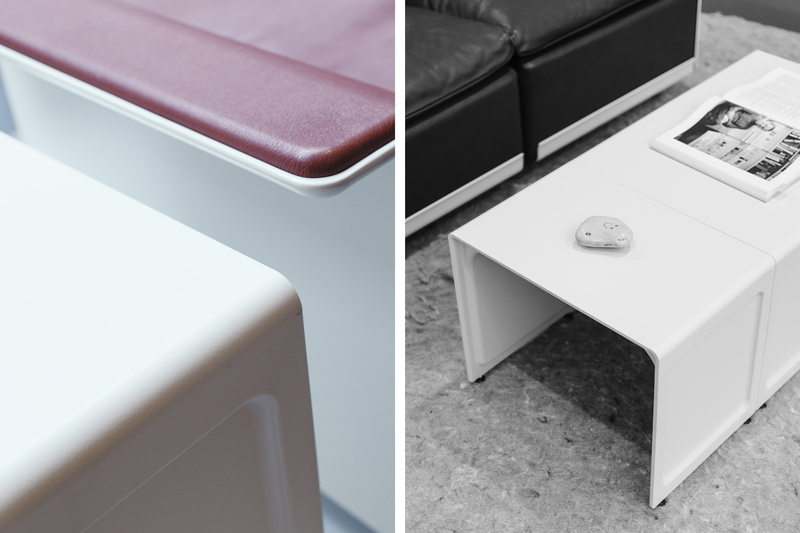 Vitsœ is made of some of the most sustainable and long-lasting materials available. Materials like hot-pressed moulding compound, steel, aluminum, leather, and polycarbonate. Not only will the style of your Vitsœ last, but the piece might last even longer (if that’s possible). The footprint of each of the core pieces from Vitsœ are a worthwhile investment because, finally, you’ll get the last pieces of furniture you’ll ever need to buy. 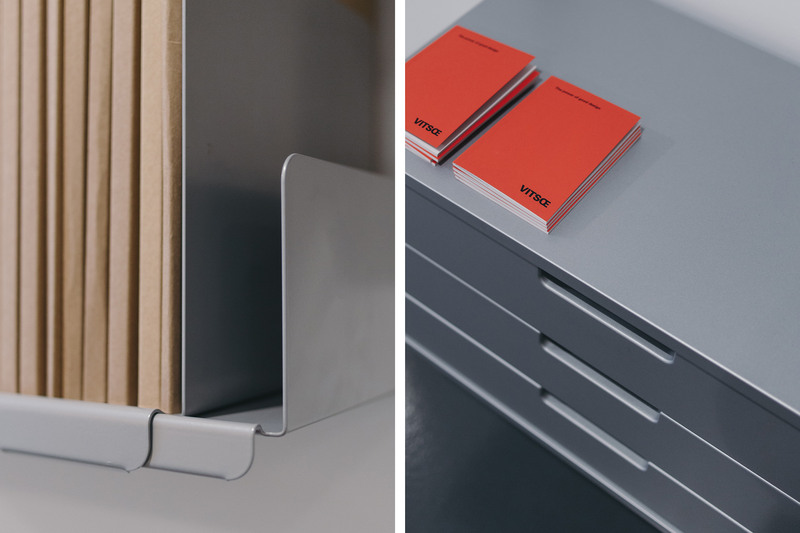 There’s no uncertainty that Vitsœ’s products are important for the ever-growing industry of design. Fortunately, you don’t need to be a designer to appreciate what they’ve done for the betterment of our kempt homes. Holding a conversation doesn’t require an amazing chair or bookshelf or table. But with Vitsœ in your home, that great conversation may just start because of the chair you’re sitting in. Designed by Dieter Rams for Vitsœ in 1962, the 620 Chair Programme is as iconic as it is comfortable. And adaptable. And beautiful. Buy, sit, and start a conversation.